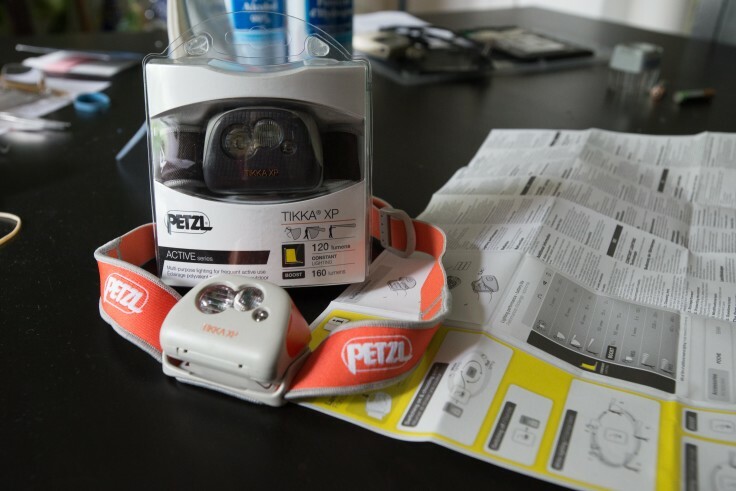 We’ve been using the Petzl Tikka XP headlamp since we began our tour at the beginning of this summer. 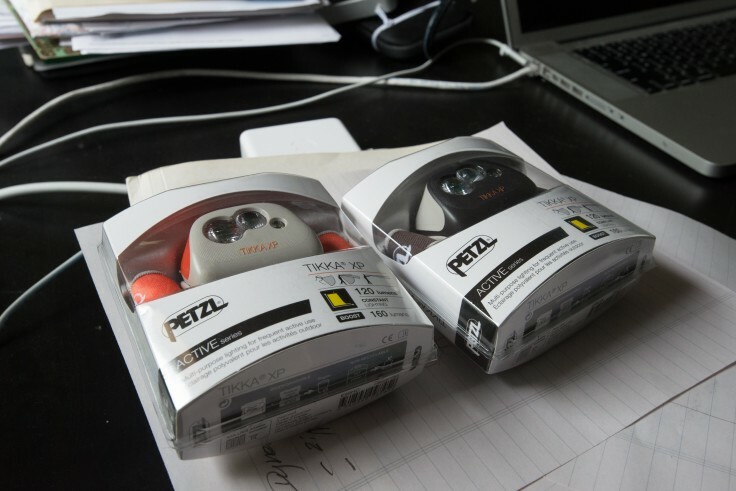 We were lucky enough to have been sent a pair of headlamps to test out from Petzl America. Although daylight was stretching well into the evening when we set off from London, days are much shorter now and we are often making dinner when the sun has set. 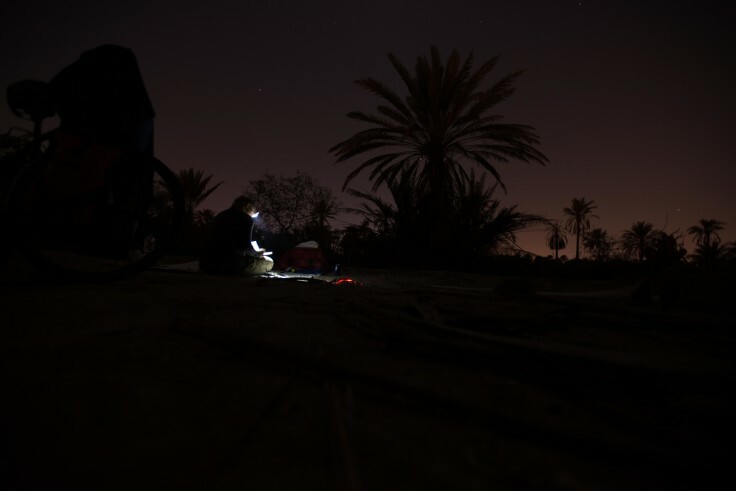 The Petzl Tikka XP has been ideal for these occasions and for the increasingly long nights of our tour. Over the years I have generally used handheld flashlights, but have had a few headlamps and I can honestly say that the Tikka XP is hands down the best headlamp I have ever used. Apart from having the obvious advantage of keeping your hands free to work, the Tikka XP also has a few noteworthy features which has made it one of the most used and most practical pieces of equipment we have on the trip. The headlamp boasts 5 different beam settings. There are 4 white beams of increasing brightness, ranging from just right to oh my god don’t look at me with that light, it’s too bright to handle. There is also a red light for when you want to be inconspicuous, or just don’t need the brightness of a white light. 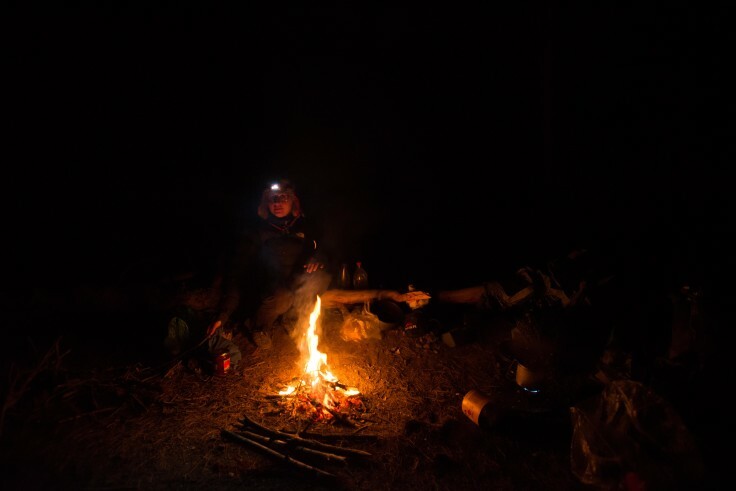 We have used the red light mode much more than I had imagined, as it is perfect when we are in a wild camping spot and don’t want to draw attention to ourselves, or when it is late at night and we are inside the tent and a blaring white light is just too much and might wake up someone who is asleep. The 4 white beams are excellent and easy to move between; a single tap of the button is all that is required to move up in brightness. The lowest beam strength is generally what we have used, and is more than adequate for our needs when cooking or when in the tent. However, when required you can crank the Tikka XP up to the highest beam level which pumps out a whopping 160 lumens! I am still amazed at the brightness that such a small lamp can produce. A great feature of the lamp is that you can jump up to the highest beam level with a double tap of the button. When engaged the lamp will go to the 4th beam level and remain at that level for around 30 seconds. This is great for when you need a little bit more light, and quick. Those times you are cooking dinner and you hear something rustling around in the bushes behind you! The unit is powered by 3 AAA batteries, which is an awkward number, but the battery life is remarkable. For the first 3 months we did not have to replace the batteries. I wouldn’t hazard a guess at how many hours of use that would equate to, but I am both surprised and pleased. There is also a low battery warning which the lamp provides by blinking the light three times when powered on, and even after the warning it kept on going for a few days if not a week. 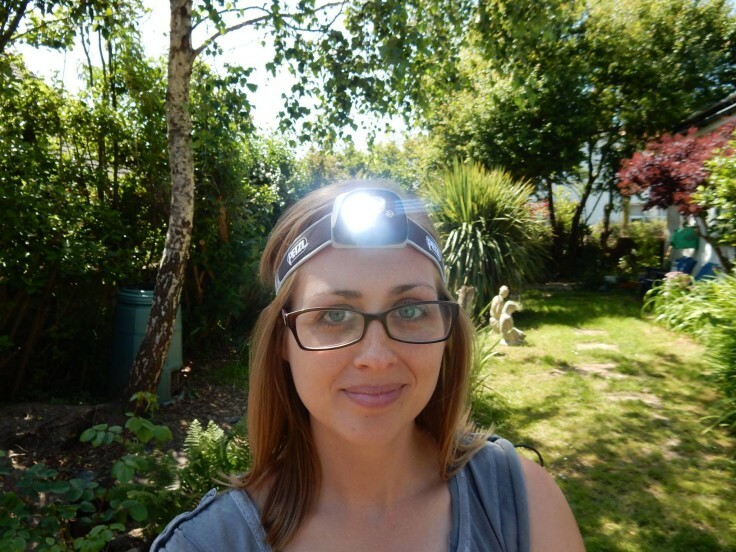 The lamp has a single elasticated strap which fits around your head like a headband. The strap size is extremely easy to adjust for when you need to put on or take off a hat for example. You can adjust the angle of the lamp into one of four positions. The lamp hinges at the base of the unit where connected to the elasticated head strap. The angle adjustment is invaluable for keeping that beam out of your fellow traveller’s eyes or on the rice you are trying not to burn. The entire unit is operated with a single button located on the top of the light. Beam type and strength is selected by the length of time the button is pressed. – The unit is turned on by pressing and holding the button until the light turns on, the beam type (red or white) is selected by continuing to hold the button when turning the unit on. – Once on, the beam strength can be changed (in white beam mode only) by a single click of the button. Each click increases the beam strength until the highest level, i.e. (lowest) 1, 2, 3, 4 (highest) followed by a blinking mode, and a subsequent click will bring the lamp back to beam 1. – To turn the lamp off, hold the button until the light turns off. 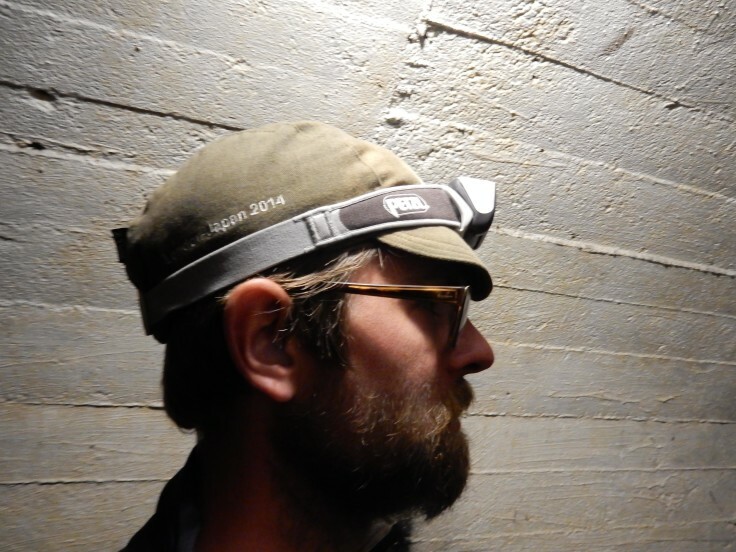 We are really happy with the Petzl Tikka XP headlamps. The simple design, small size, single button and all around quality of the unit is fantastic. The battery life and brightness are more than we were expecting from the units, which is always a pleasant surprise from any of your gear. Cons: You’re never going to look cool with a headlamp on. 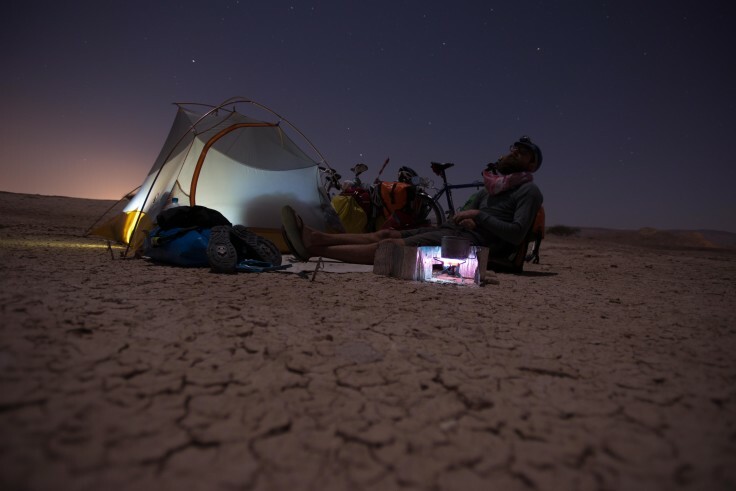 Awesome photo of you guys camping on the desert with the stars! Thanks Mark, the Arabian nights were something special. You don’t say anything about the weight or the cost. I have a super cheap headlight that clips to my cap and i can read by it for short periods and it has only a little flat battery in it which lasts forever. I bought it in a camping store. I am trying to figure out whether or not i need to fork out for something like the tikka for my next trip which is a long one. As you probably guessed by now the main disadvantage of my current light is that i have to wear my cap in bed if i want to read but also it wouldn’t be as strong as the tikka. My torch weighs almost nothing. It has red light which i never use, and various other options such as flashing and so on. After reading your review, i suspect i should stick with my torch a bit longer. I have so many other things to spend money on that the tikka seems like a luxury that can wait. Thanks for dropping us a comment on the article. It sounds like you are happy with your light. 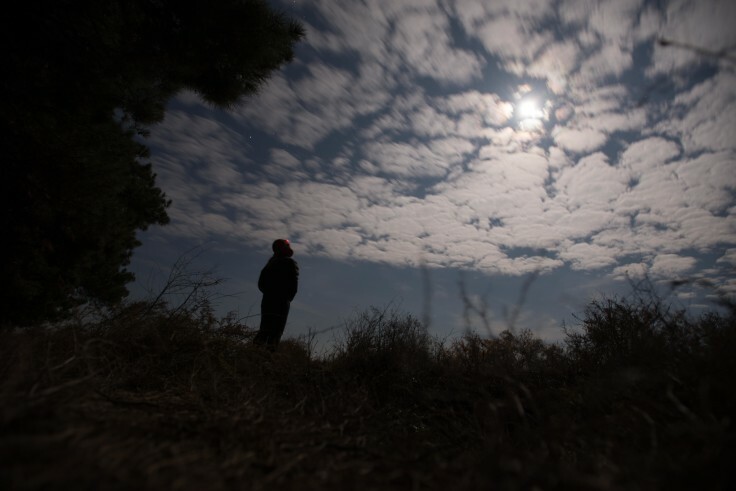 I can tell you having a more powerful light while camping, especially during the winter was very handy. We didn’t always use the higher beam settings bug there were times when they were necessary. Regarding the weight, the headlamp was very light in terms of additional grams in our panniers but also when worn. The strap was also great and was super secure on our head. Something a clip on light just can’t do.